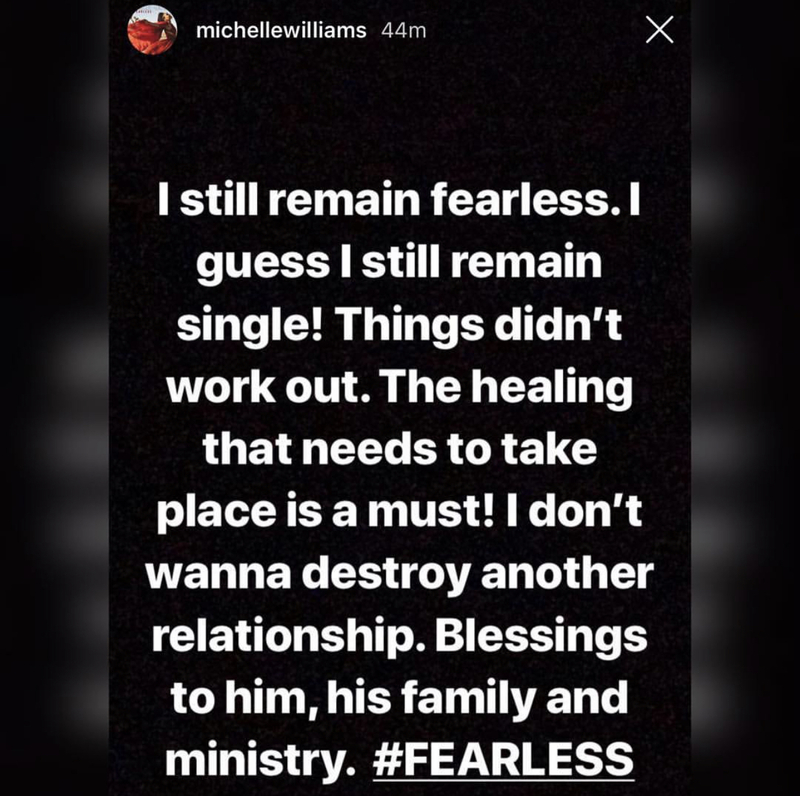 Destiny’s Child member Michelle Williams took to her Instagram this morning to announce that she and her fiancé Chad Johnson have called off their engagement. The two announced their engagement back in April of this year and they met in 2017. They were in the midst of filming their new reality show, “Chad Loves Michelle,” when their relationship started to get rocky. There were no signs of bitterness or regret in what Michelle said and she wished Chad and his family the best. Many did not like their relationship and some felt he was a great rock for her during her time in rehab while she was battling with depression. Let us know how you feel, tea sippers!